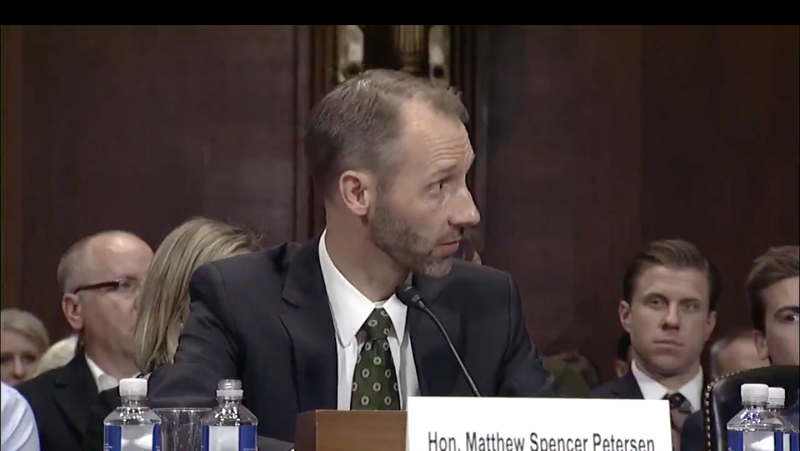 Trump judicial nominee Matthew Spencer Petersen, an FEC commissioner who apparently lacks any of the relevant experience required to be a federal judge, will no longer seek the position. Kennedy: Have you ever taken a deposition by yourself? Kennedy: Have you ever argued a motion in state court? Kennedy: Have you ever argued a motion in federal court? This is pretty much how things continued for the entire five minutes. The clip garnered 8 million views, turning Petersen into another symbol of the Trump administration’s complete incompetence.